This new strategic plan sets the direction of NCS through the 2022-2023 school year. While continuing to fulfill our mission, this document stakes out an ambitious and forward-thinking vision of the next five years. 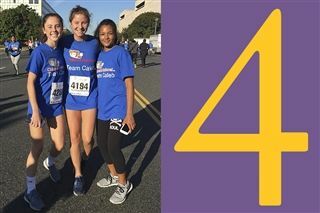 The plan focuses on the following five priorities: teaching students to lead in a dynamic world, enriching the student experience, advancing an inclusive educational environment, strengthening our community’s connections, and providing for an enduring National Cathedral School. The history of National Cathedral School could be written in terms of the dedicated families who have committed to its growth and sustainability since 1900. 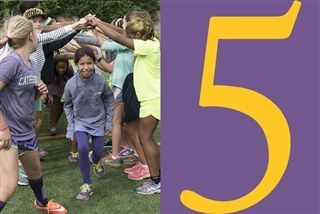 A school that began as a unique educational opportunity for girls in Washington, D.C., continues fulfilling that mission today through a new strategic plan approved by the Governing Board in June 2018—one that stakes out an ambitious and forward-thinking vision of the next five years. 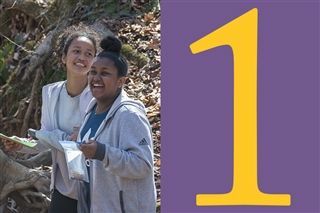 The plan focuses on the following priorities: teaching students to lead in a dynamic world, enriching the student experience, advancing an inclusive educational environment, strengthening our community’s connections, and providing for an enduring National Cathedral School. The development of this plan illustrates the power of our community. We began with research from thousands of key constituents, engaged the advice and involvement of dozens more, empowered a steering committee, and have now published a plan to take the school into 2023. Strategic Plan Steering Committee co-chairs Bhavana Boggs and Tae-Sik Yoon led a process that allowed all participants to listen, to reflect, and to consider the next steps forward for NCS. Much of our work was inspired by faculty and staff members who are eagerly proposing and introducing curricular advances that will stand as hallmarks of this period of NCS history. This document sets the direction of NCS for the five years to come. It is my honor to begin fulfilling this plan in 2018, and soon it will be my privilege to pass that honor to NCS’s next head of school, who will realize the full vision of this plan with faculty, staff, trustees, parents, students, alumnae, and other members of our community. Continuity in the face of inevitable change is one of NCS’s great strengths. It comes of the deep and abiding belief in our mission and from the extraordinary loyalty and generosity of thousands of community members. Thank you to all who hold this school in your hearts and offer what you can to ensure that it continues to inspire the lives of young women. We are grateful for the faith and trust you place in the educators who teach and the students who learn on our Cathedral Close. Affiliation with National Cathedral School is affiliation with the commitment to learn, to lead, and to love. Thank you for that. 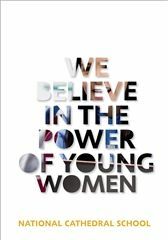 We believe in the power of young women and educate them to embrace our core values of excellence, service, courage, and conscience. EXCELLENCE We strive to offer our best work and to maintain the highest standards within a context that honors the contributions and achievements of the entire community. SERVICE We believe we have an obligation to make a difference in the world, to contribute to the greater good, and to respond with purpose to the needs of others. COURAGE We act with conviction, strength, and integrity. We stand up for ourselves and others. CONSCIENCE We work to develop an abiding sense of right and wrong and, guided by that moral sense, seek ethical responses to life’s challenges. We act toward others with kindness, respect, and compassion. National Cathedral School promotes these core values to prepare students to lead lives of purpose, meaning, and joy, inspired by the Cathedral whose name we share. In keeping with our identity as an Episcopal school, we honor matters of the spirit and make worship an integral part of school life. In keeping with the ideals of the Episcopal faith, we value diversity and make community service an essential part of the NCS experience. National Cathedral School students have great talent and potential. In response, NCS’s creative faculty and staff support and challenge each student with rigorous and inspiring educational programs. Our expertise is in teaching girls and young women to develop their unique talents. Through the passionate exchange of ideas, opportunities for analytical and creative thinking, personal reflection, and the joy of discovery, our students achieve high levels of skill in their academic and extracurricular endeavors. NCS graduates take on the challenges of life keenly aware of their capacity for leadership and ability to make meaningful contributions to the world. NCS expresses the philosophy of the Washington National Cathedral and the Episcopal Church by embracing the diversity of human experience. Just as the National Cathedral is a “house of prayer for all people,” National Cathedral School honors all faith traditions and welcomes and celebrates students, faculty, and staff from all backgrounds. We believe that diversity and inclusion enrich our learning environment and are essential to academic excellence and personal growth. It is through the deliberate and constant interactions with people of diverse beliefs and backgrounds that students learn compassion, cultural competence, and how to work effectively with others in a global community. Diversity and inclusive practices in our school are essential if our students are to think critically and creatively about global questions and to thrive and lead in today’s world. Relationships anchored in trust and shared values between and among students, teachers, staff, parents, and alumnae create an environment that fosters intellectual risk-taking, healthy emotional growth, and a lifelong love of learning. Integrity, respect, and personal responsibility are essential components of our community.